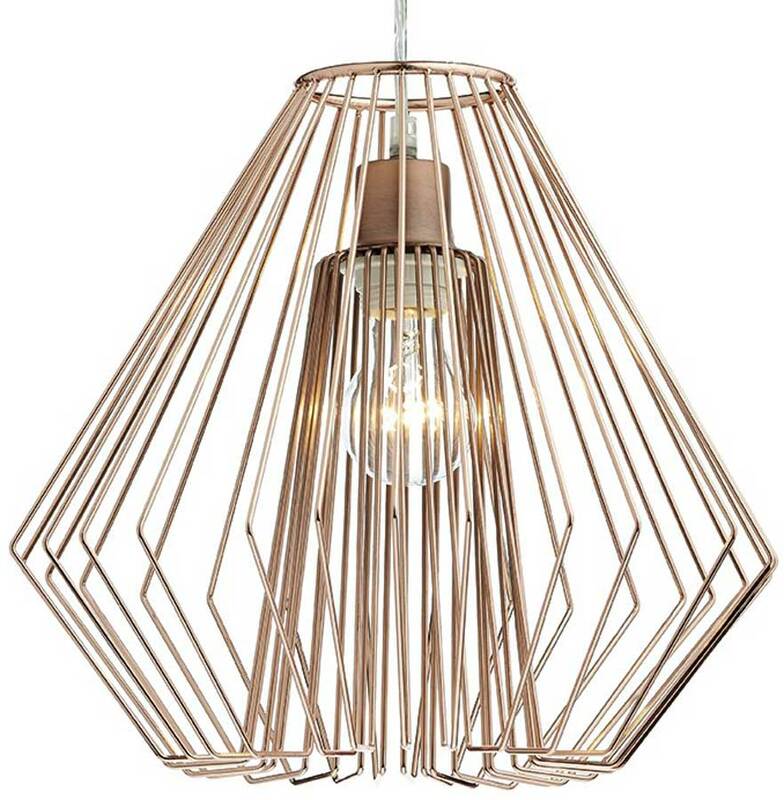 An easy to fit ceiling pendant shade, constructed from a mass of thin copper rods in a contemporary angular design. 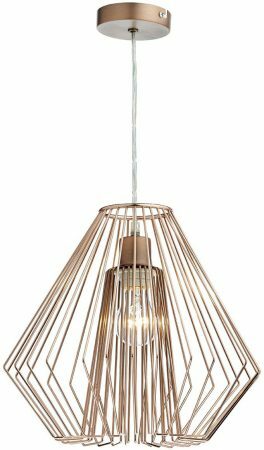 This replacement shade fits in minutes to your existing ceiling pendant for an instant make over without the need of tools or an electrician. 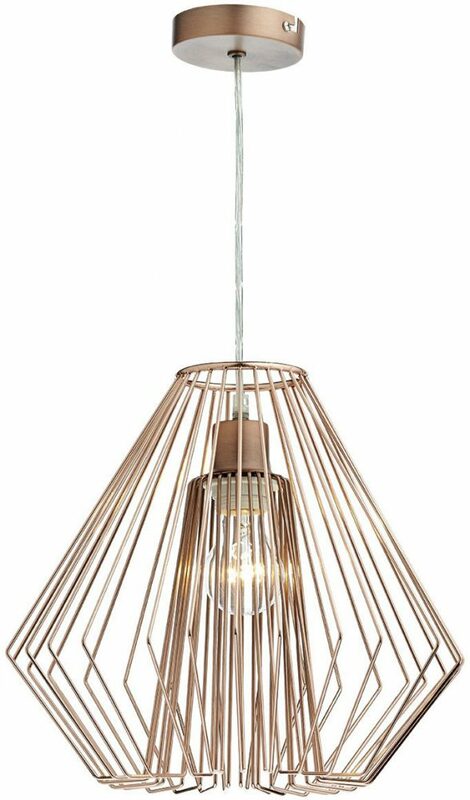 Our illustration shows the shade using a clear flex and copper pendant lamp holder that can be found by following this link. Please note that there are no other products that match the modern Needle shade.